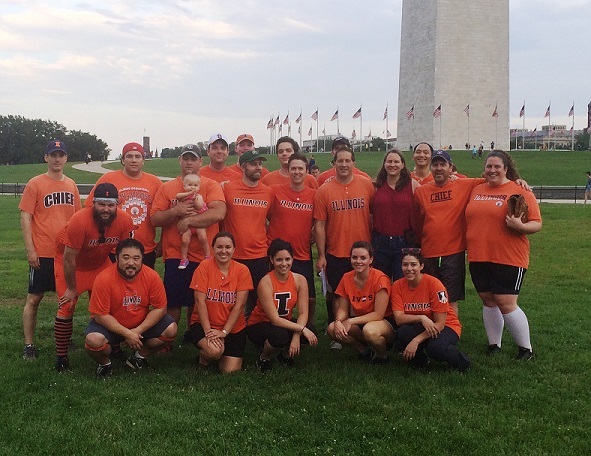 The coed DC Illini softball team plays in the Capital Alumni Network League against other alumni teams each summer. The season runs April through July and finishes with an August tournament. The team is currently recruiting members for the spring/summer 2019 season. If interested or for more information, please contact team captains Geoff Manikin (gmanikin@yahoo.com) and Evan Keller (evan.a.keller@gmail.com).